Green-edged acrylic adds an attractive element. Moveable brackets can slide along each side support. 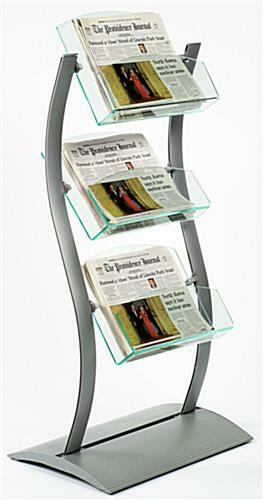 This magazine stand, catalog rack has (3) green-edged acrylic pockets for holding your literature. 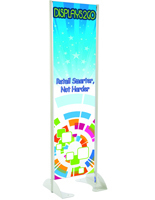 Acrylic is perfect for such a product because it provides great visibility. 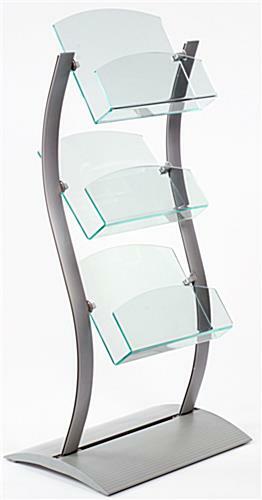 The catalog rack features a unique, wave-shaped structure creating a striking display. 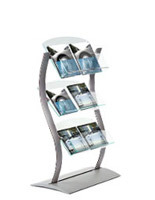 This catalog rack, such as our other wave-shaped fixtures, is an eye-catching tool to help get your publications noticed. 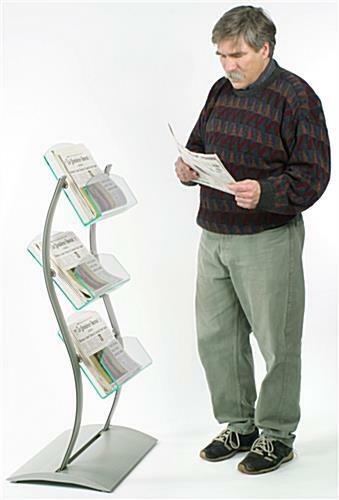 You can use the rack as both a merchandising unit to distribute catalogs, and as an organizing fixture to share reading materials with guests. 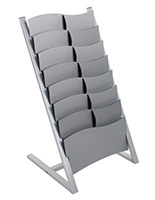 The catalog rack is constructed from brushed aluminum for a rust-resistant yet sleek base. 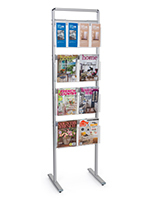 This magazine holder is also an adjustable catalog rack! 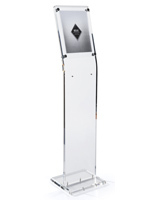 Simply slide your brackets up or down both side supports to change the height and orientation of each acrylic pocket. 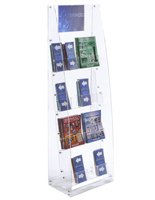 The display stand, catalog rack will help you ultimately increase sales as its distinct design will draw passersby to your presentation. 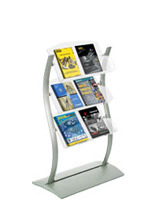 This catalog rack, also known as a publications holder, is ideal for any indoor venue with modern furnishings.